Mississippi has a senior population of approximately 350,000 which is only 12% of the population of the state. States like Mississippi that have a smaller senior population usually have the best options for assisted living facilities in the larger cities. 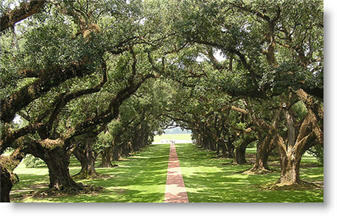 The cities the Jackson, Gulfport, Biloxi, and Hattiesburg should have the greatest selection of senior living options. Some of the smaller cities may have less options for assisted living. Alzheimer's care, in-home care, independent living and nursing homes. State-of-the-art emergency care and cancer treatment are just a few of the critical health care needs for those considering different options for senior housing. Access to health care systems must be balanced with access to friends and family to give seniors an enjoyable but safe living environment. Other important factors in selecting an assisted living facility include the cost and amenities. Smaller facilities offer more personal service while larger facilities may have an activities director that keeps life in a facility active and interesting. Safety is also a very critical factor in selecting an assisted living facility. Once you have narrowed down your selection to a few facilities you can contact the local government agencies to get information about these facilities before you make a commitment. Assisted Senior Living was designed to be used in conjunction with local and governmental resources.. This directory includes 739 assisted living options for Mississippi. Use the "Advance Search" to find the nearest 40 senior services based on your desired location or select a city and then choose a tab to see different types of senior care including nursing homes, Alzheimer's care centers, CCRCs, independent living, in-home and hospice care. Here are the direct links to Biloxi Gulfport Nursing Homes, Columbus Nursing Homes, Greenville Nursing Homes, Hattiesburg Nursing Homes, Jackson Nursing Homes, Meridian Nursing Homes, Starkville Nursing Homes, Tupelo Nursing Homes, Vicksburg Nursing Homes, or use the advanced search and limit your results to Nursing Homes.